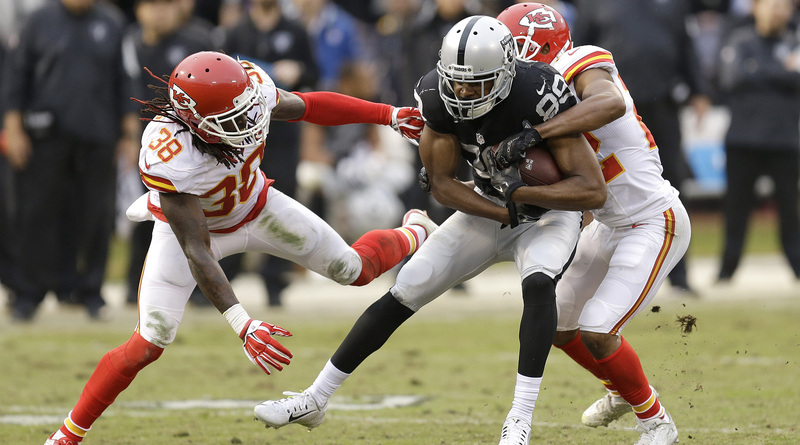 The Kansas City Chiefs and Oakland Raiders will fight for the division lead in a game that renews the two franchise's historic rivalry. 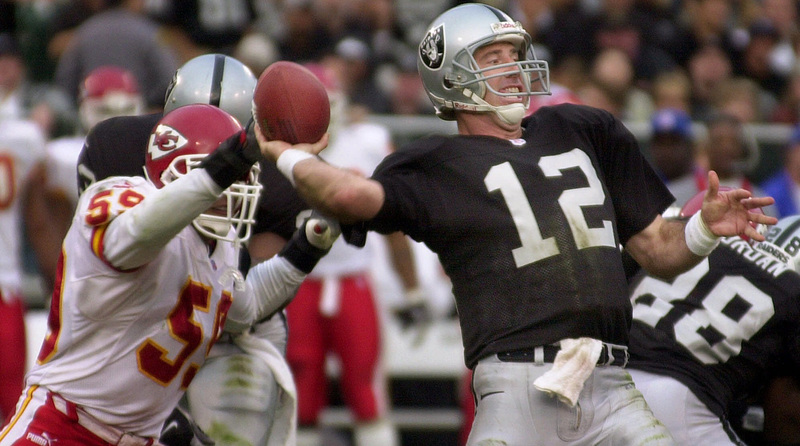 The last time the Kansas City Chiefs and Oakland Raiders each had winning seasons was 1994. That will change this year, as both teams have secured winning records, but only one can win the AFC West division. On Thursday, the two teams will face off in a game that will put one team in the driver's seat for the division lead and a first–round bye in the playoffs. The Raiders (10–2) lost their first meeting to the Chiefs (9–3) this season at home, and now travel to Arrowhead Stadium in Kansas City for round two of what is one of the more highly anticipated games of the season. Here's a look at the history of the heated rivalry. The matchup's heyday came in the 1960's and early 1970's. The two teams had been in the same division since their days in the AFL, and it helped that both teams were good. The rivalry climaxed in 1969. Coached by John Madden, the Raiders cruised to a 12–1–1 record in the regular season, while the Chiefs made the playoffs as a wild card team with two regular season losses to Oakland. The two met in the AFL conference championship game, with a trip to Super Bowl IV on the line. The Raiders, confident they'd earn the victory, brought their luggage to the stadium to take to the Super Bowl the next week. After falling behind 7–0, the Chiefs scored the final 17 points to pull off the upset and advance to the Super Bowl, which Kansas City would win. In 1970, the teams played to a tie after a fight broke out in the final moments. Penalties caused the Chiefs to do-over their previous play, and Kansas City was then forced to punt. Oakland marched down the field to kick a field goal to end the game at 17–17. After 1973, the rivalry cooled off. The Raiders went on a historic run, while the Chiefs couldn't manage a winning season. It picked back up in the early 1990's, when Marty Schottenheimer's Chiefs ultimately got the better of Art Shell's Raiders. The venom between players and coaches was evident almost every time the two squads met. Schottenheimer called the week leading up to games against Oakland "Raider Week," when he ratcheted up the intensity and reminded the team that they were facing their archrival. Schottenheimer—who also coached the Browns, Redskins and Chargers—finished his career with a 23–7 record against the Raiders. Entering 2016, the Raiders' last winning season came in 2002, so the rivalry hasn't been quite as meaningful over the last decade or so. Until this year. The Chiefs lead the all-time series 60–52–2. Kansas City has also won six of the past seven meetings between the two teams. The winner of this week's game will be a game up in the division, as the Chiefs would hold the tiebreaker, and the loser left in the fifth wild card spot and a road game in the first round of the playoffs against whichever team wins the AFC South. It's important not to forget about the Broncos, who lurk behind Kansas City and Oakland with a record of 8–4. The Raiders' final three games are at the Chargers, against the Colts and at the Broncos. The Chiefs will play against the Titans, the Broncos and Chargers, with just the final game coming on the road.